Every year during the month of September, Safe Kids coalition members host events across the country to help parents learn how to install and use their car seat correctly. These events are in celebration of National Child Passenger Safety Month, with the biggest focus being on Seat Check Saturday on September 29. The entire nation gets behind keeping kids safer in car seats, booster seats and seat belts. Here is everything you need to know about what we’re doing this year for Child Passenger Safety Month. SSafe Kids coalitions are hosting more than 500 events during Child Passenger Safety Month thanks to support from Chevrolet. 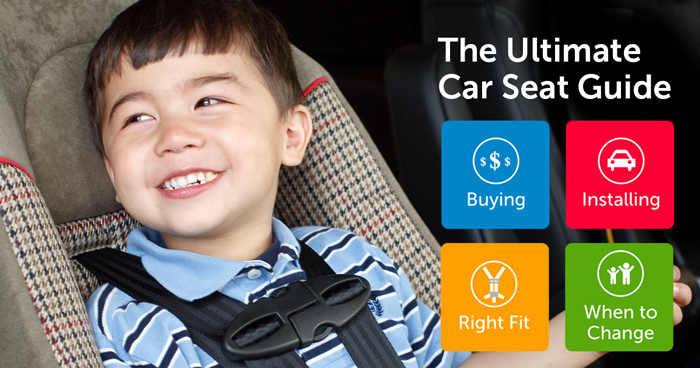 There are two types of events: car seat checkup events and inspection stations. Car seat checkup events are one-off events where parents can work with a certified car seat technician to learn how to install their car seat correctly. You may find them in the parking lots of retail outlets, malls, hospitals or other locations. Look for our bright tents. Inspection stations are regularly-scheduled events at fixed locations like GM dealerships, police or fire departments where parents may need an appointment. To find a car seat checkup event or inspection station near you, check out our event page. For anyone who can’t attend an event, we’ve worked with General Motors to create The Ultimate Car Seat Guide. This website is available in both English and Spanish and gives parents helpful information on how to choose and use a car seat. In addition, the Guide has parent-friendly tips on how to use a tether, fit and test a child’s harness, and test whether the car seat is installed tightly enough in the car. Finally, they will learn tips to know when it is time to move to a new type of seat. Our videos make it easy to learn! Check it out and share with everyone who uses a car seat. For all our car seat safety tips, click over to our safety tips page. We also have a page specifically with booster seat tips. Think your child is ready for a seat belt alone? Double check with even more tips.